With respect to the best of Adelaide’s skyline views, historic and culture city hotspots, comfort and luxury, as well as relaxation and entertainment, here is the list of the 10 best hotels in the city of Adelaide. Boutique hotels, amazing roof garden bars, themed hotels and heritage listed buildings are the ideal base to enjoy your stay in Adelaide. Franklin Boutique Hotel is a little artistic gem in the heart of Adelaide. Wood panelling and stripped-back brickwork, unique artworks from local artists and salvaged interior details complete the ideal environment for a stylish and alternative accommodation spot in the city. Offering a variety of deluxe, premium and superior rooms with extra luxurious facilities – such as en suite bathrooms, more inventive lighting, Nespresso machines and iPod radios – this boutique hotel is definitely dedicated to the passion for style, art, and quality accommodation. Perfectly located a short walking distance from the city’s central market and the Sunday farmer’s market, you’re going to love this brand new place. Majestic Hotels are South Australia’s family owned and operated Hotel Company. The company was founded 28 years ago by John Culshaw and they own two distinct hotels in the city of Adelaide. The Majestic Roof Garden Hotel is one of them, providing a function space and including its very own restaurant. Having won the title of Trivago’s Best Adelaide Hotel 2014, the Majestic Roof Garden hotel has been awarded numerous awards, supporting at the same time South Australia businesses, producers, and artists. The Majestic Roof Garden Hotel is a full introduction to the South Australian accommodation experience, and always guarantees a wonderful stay. One of the newest five-star boutique hotels in Adelaide, the Mayfair Hotel comes with a touch of luxury and glamour in the heart of the city. 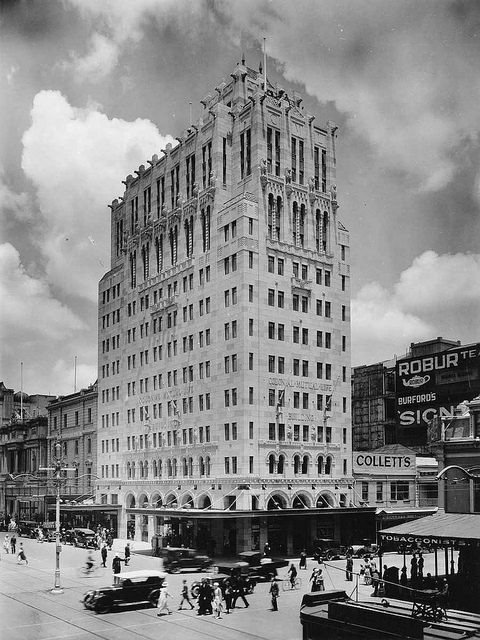 Located at the corner of King William and Hindley Street, you will be enchanted by the beautifully renovated heritage Colonial Mutual Life building in which the hotel is housed. The imposing Romanesque style building, the premium hotel facilities and the luxurious interior design with an artistic twist showcase the best of South Australia. Elegant and classy rooms and suites, meeting and function rooms, business center, gym, rooftop bar and exquisite restaurants and cafes complete the most iconic hotel in Adelaide. Relaxing, luxurious, comfortable and elegant, the Adabco Boutique Hotel is definitely an institution of style and good living in Adelaide. Cozy, big leather couches, intimate courtyards, large LCD TVs, computer workstations and a business center welcome you in the boutique hotel, making your life and your experience easier and more interesting. Get ready for the most gorgeous and classy communal kitchen you’ve ever seen in your life, as well as excellent dining facilities and guest lounges on each floor. Starting from the premium room, guests have the options of a deluxe king room, a family room and the executive suite with extra wellness facilities. 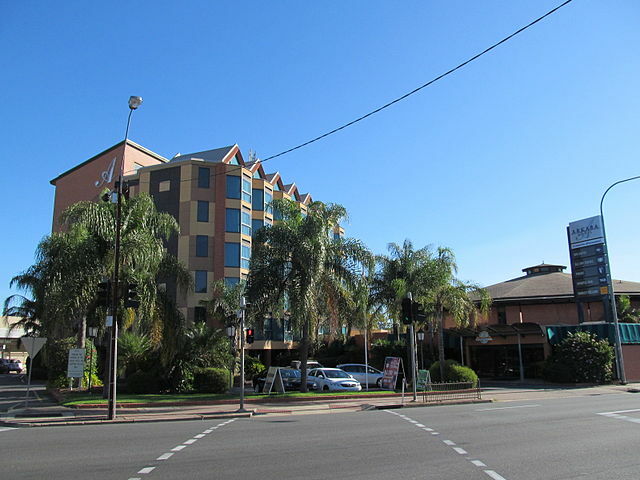 The name “Miller Apartments Adelaide” preserves a part of the history of its own property in which the hotel is situated. This historic building was the dream of a Scottish immigrant who started his own linen-drapery business on Hindley Street, preserving the name J.Miller Anderson Co. 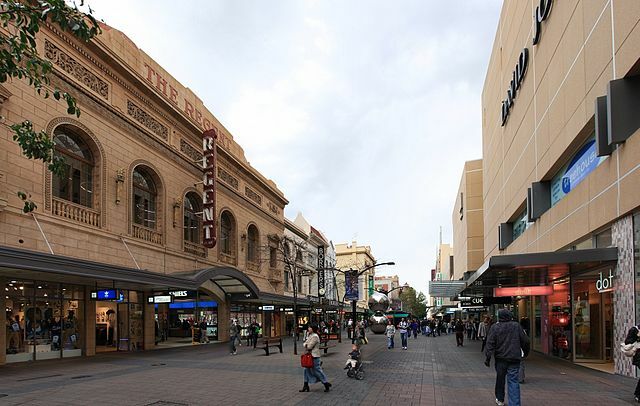 Through the years, he developed one of the best department stores in Adelaide. Today, as a heritage listed building, the award-winning hotel is dedicated to classic and elegant interior design with the amazing wide staircase as its highlight. Offering a variety of fully self-contained apartments, the hotel is popular for their very own artistic character. The friendly and helpful staff and the great homely atmosphere of the Arkaba Hotel will make you feel right at home. Magnificent views over the Adelaide Hills, spacious and luxurious rooms with generous work areas, functional work desk, comfortable lounge rooms, en suite luxurious bathroom and spa bath and modern furnishings create the ideal environment whenever the occasion arises. Arkaba Hotel also offers four state-of-the-art function rooms, as well as dining areas and café. One of the newest and most iconic hotel in Adelaide, you should definitely have the time to explore it. Welcome to the Clarion Hotel Soho, a designer hotel dedicated to the vivacity and style of London’s Soho district in the heart of Adelaide. Studio suites with king beds, lounge areas with luxury amenities, private balcony suites with city views and lush spa suites wait to introduce you to a unique and unforgettable Adelaide experience. You can also visit the 5th floor of the hotel and enjoy the sun in the heated pool under the sky or you can treat yourself with an ultimate relaxation experience at the Soho Spa offering organic spa treatments. The Mansion on Pultney is an apartment-style hotel in the heart of the city. Easily accessible and a short distance from the local shopping center, restaurants, universities and tourist attractions, this hotel is an alternative to the traditional hotel model, offering spacious and modern heritage-style apartments for the same price as a hotel room. The century-old heritage building and the exquisite elegant apartment create a true homely atmosphere. Studios, standard, executive and family apartments with fully equipped kitchens and private balconies provide you with all the comfort and privacy you need to enjoy your stay in Adelaide. 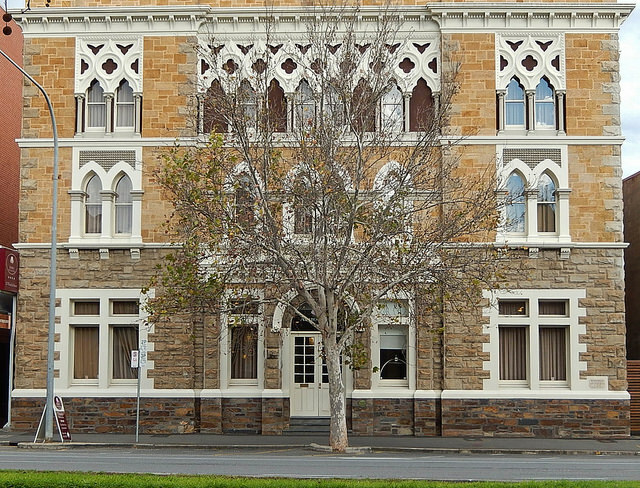 Built in 1883, the iconic Hotel Metropolitan is a heritage building located in Adelaide’s city center. 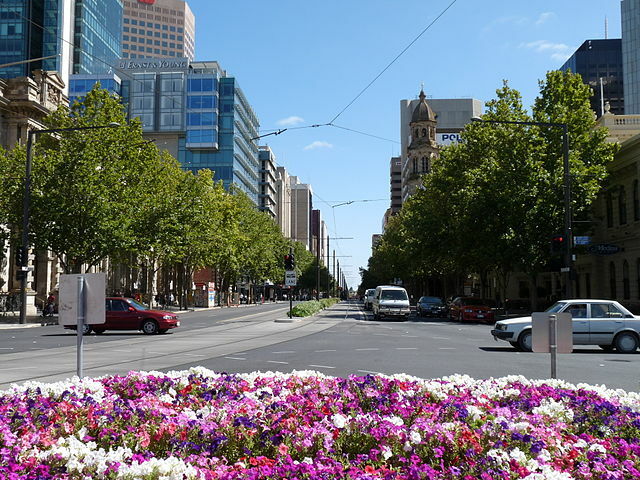 Located on the Grote Street, the hotel is situated close to the Adelaide Central Market and the Victoria Square. The traditional and authentic pub atmosphere and feel of the hotel is what makes it so special and popular, offering not only accommodation and entertainment, but also food and gaming! Preserving 26 rooms of classic architecture and amenities in the heart of the city, the Hotel Metropolitan is the ideal base to explore Adelaide. Ambassadors Hotel is one of the most historic hotels in the city. Located in Adelaide CBD, the Ambassadors Hotel is also a heritage listed building: it is one of the oldest buildings and hotels in Adelaide since it has received its license in 1841. All these years, this amazing and luxurious hotel has preserved its 30 guest rooms, the popular Marble bar and 2 eclectic spaces ideal for events and other functions. A variety of carefully selected bedding configurations and a delicious continental breakfast buffet will set you up perfectly for your first Adelaide experience.